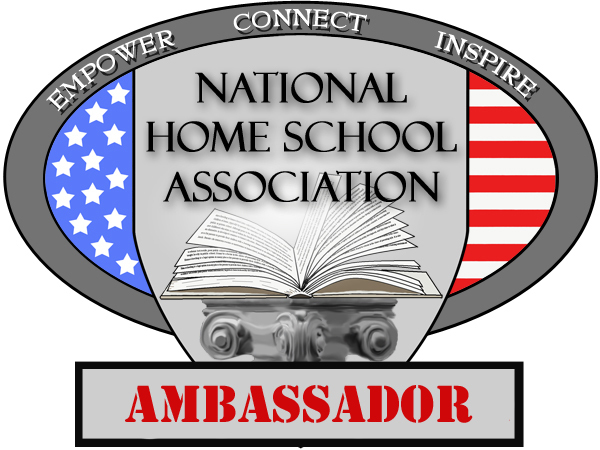 Any student, who is interested in helping to educate the world about the benefits of homeschooling, can apply to become an NHSA Ambassador. Those interested in applying should contact us on the "Contact Us" page of this website to receive a presentation outline and other important information and procedures. After receiving the information from the NHSA, applicants will then send a video tape, to the NHSA, of himself/herself delivering a speech/presentation (as outlined by NHSA) to a gathering at a scout meeting, church group, community group, meet‐up group of concerned parents, etc. Once the applicant has demonstrated an ability to make the presentation and to competently serve as an “Ambassador” of the NHSA, that student will be notified whenever the NHSA is contacted by a group in their community that would be interested in hosting such a presentation. Confirmed Ambassadors can also actively seek out speaking opportunities. The procedures to follow are in the NHSA information packet and it is preferred that all presentations are videotaped. Confirmed Ambassadors will be provided with a special NHSA Ambassador ID (See a sample at the NHSA Membership Card section on this website). Ambassadors will also receive a patch like the image displayed above and they will be given special recognition on the NHSA website and in the Home Learning Digest newsletter. Ambassadors will also be invited to attend the annual Ambassador Clinic/Conference to be hosted at the virtual NHSA Expo. At this virtual conference Ambassadors will, via a nationwide conference call linked to streaming video online, hear short presentations from real "Goodwill Ambassadors" and then will receive tips on how to improve their own presentations. The Ambassadors will collectively chat about issues of most importance to them, questions they most often receive when giving presentations and ideas of new places to speak. Existing NHSA Ambassadors will be encouraged to send in tapes of themselves making presentations. Clips will then be taken from some of those videos, that exemplify what the NHSA is looking for, to be shown to the whole group. Special recognition will be given to a few Ambassadors who have gone above and beyond any expectations and tools will be made available via download to help those just starting out or those who want to refine their presentations. The Ambassador Clinic will run for 6 hours (9am-Noon and 1pm- 4pm) on Day 1 of the NHSA Expo.